Come see the Toronto Premiere of the film SOLD at the Magic Lantern Carlton Cinema at 20 Carlton St, this Friday evening at 6:45pm. 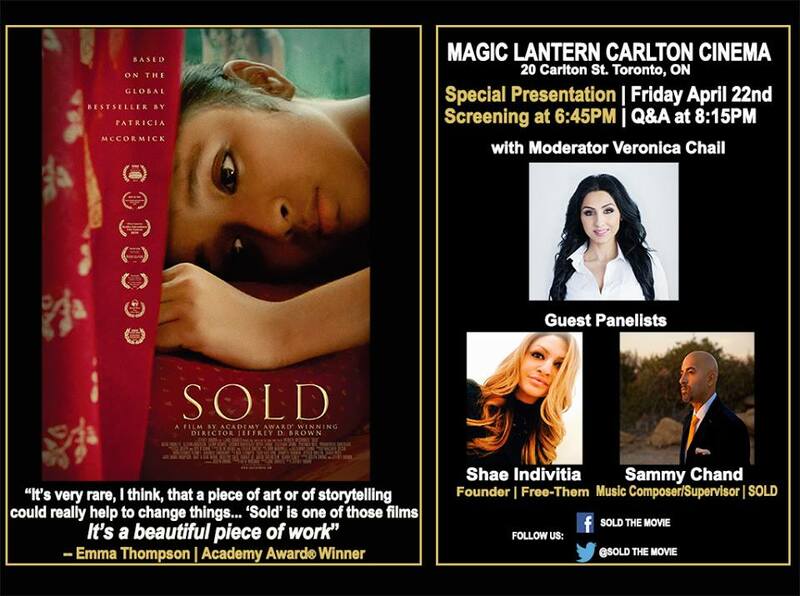 This very important film puts to light the horrors of Human Trafficking and sexual slavery. The screening will be followed by a Q & A session with Sold the Movie Music Composer and Music Supervisor Sammy Chand, and activist Shae Invidiata of [free-them]. The session will be moderated by Veronica Chail.